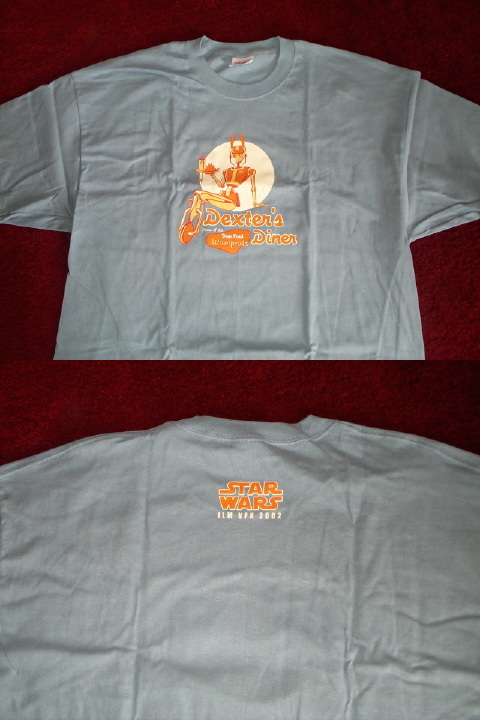 This Dexter's Diner T Shirt was made for the Industrial Light and Magic Visual Effects crews for Attack of the Clones. Dexter's Diner is famous for their Deep Fried Wamprats which are very tasty, although fairly large at two meters. The logo across the front of the shirt features the droid waitress from Dexter's Diner.